Ever since Ben Stiller and Vince Vaughn starred in that wonderful movie dodgeball has blown up, and Sports Monster remains at the center of it all! Now Offering!! Outdoor Sand Dodgeball Tournaments. We will play at Eastside Athletics on the Sand! Whether you're Average Joe's or Purple Cobras, come out and have fun and enjoy some adult sodas, included in your fees. 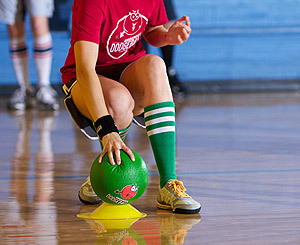 For the old school dodgeballers, we offer indoor leagues that play on hard court with 7v7 (5 men/2 women - you can have more than 2 women and less men playing at any time). We play as many games as we can during 60 minutes. Paid referee is included! Looking for something that is totally crazy and tons of fun?! 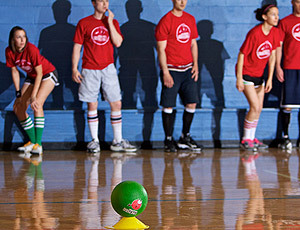 Check out our seasonal dodgeball leagues on a trampoline! Talk about some great exercise! We play for 45 minutes straight and you WILL get tired. Make sure to have plenty of players on your team! Games are held at Eastside Athletics and typically last about 3-5 minutes. You'll end up playing about 15-20 games in a night! Register full teams or individuals looking to be placed on a team. Priority registration will save you $$$ so make your move now to secure your spot in one of these popular leagues!